This has been sponsored by Mike from Gametracker , a big thanx to him. The server will be running a FFA Rail config to start with . This will be changed from time to time. Please post any comments on the forum . This is all the members server so its up to you to make it work . 4 in the top 10 , well done guys ! Any member of the (EPC) can add a server if they own it and have ownership with Gametracker. 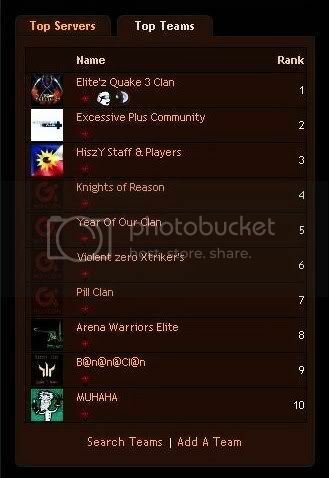 I started this New Clan Up for the Excessive+ Community.  Gametracker has forums , stats for players and servers . Also has profile page that you can upload vids and pics. Voice server can only be used along with GSC . Want to rent a server ?